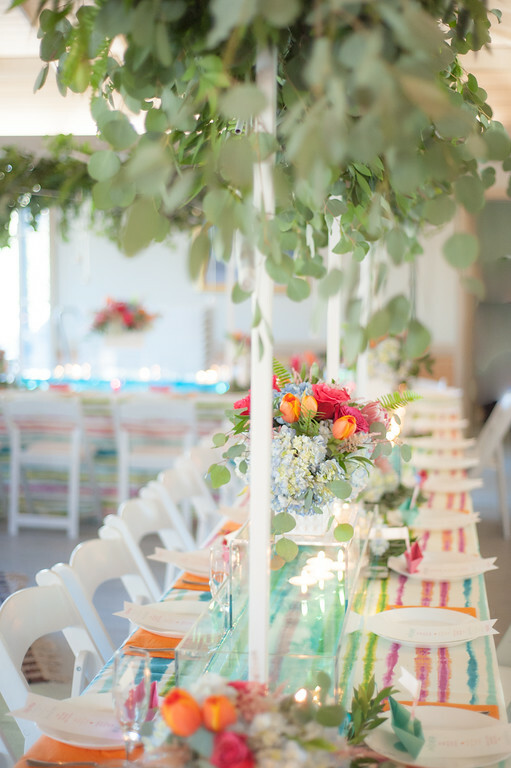 Beau's birthday party emulated everything a designer loves working with- color, movement, and a story. This super fun third birthday party told the story of an aquatic adventure- with boats, fishing supplies, bodies of water, and more! Read more to see all of the unique details that made this party one for the books! The whole design was to emulate the movement that comes with a creek or running source of water. The greenery that we attached to our t-structures were to represent the greenery that commonly lines an outdoor lake while the water in the middle of the tables represented the creek itself. The tabletop told a story, and that's something that all designers strive for! The room itself was very bright, well lit, and open, so our design was just as open. This allowed us to play around with the design a lot and added a lot of props to the tabletop. We placed fishing poles inside trees and hung lures at different heights. The water was dyed slightly blue and provided a soothing base for our ivory floating candles. 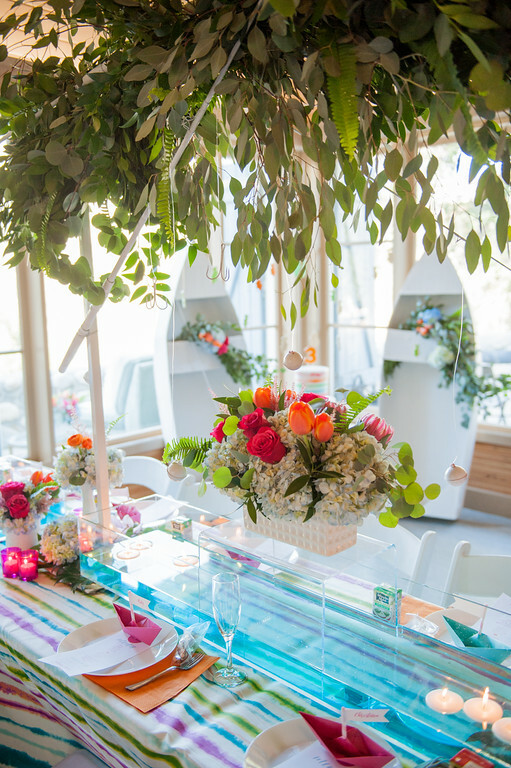 Florals were very colorful and they coordinated well with the colorful tabletop line n. We mixed in vibrantly colored votives. The colors on the cake were similarly vibrant and sat nestled in between two adorable white boats. 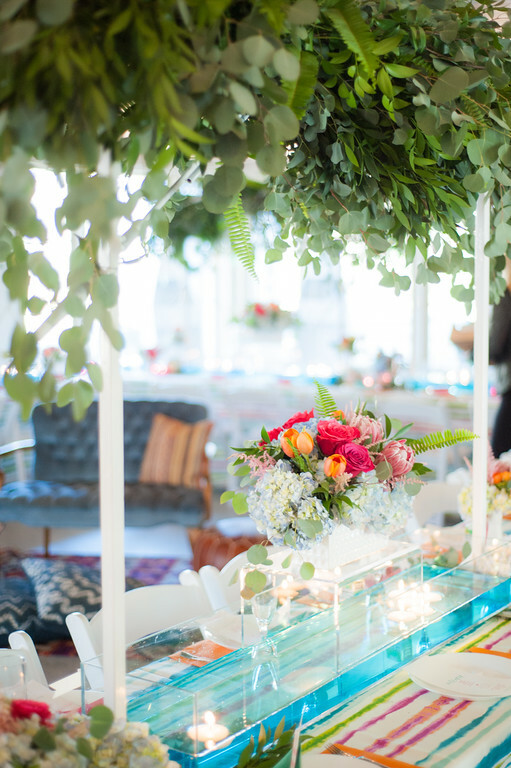 We added floral clusters in each boat to tie the section of the room in with the rest of the tables. 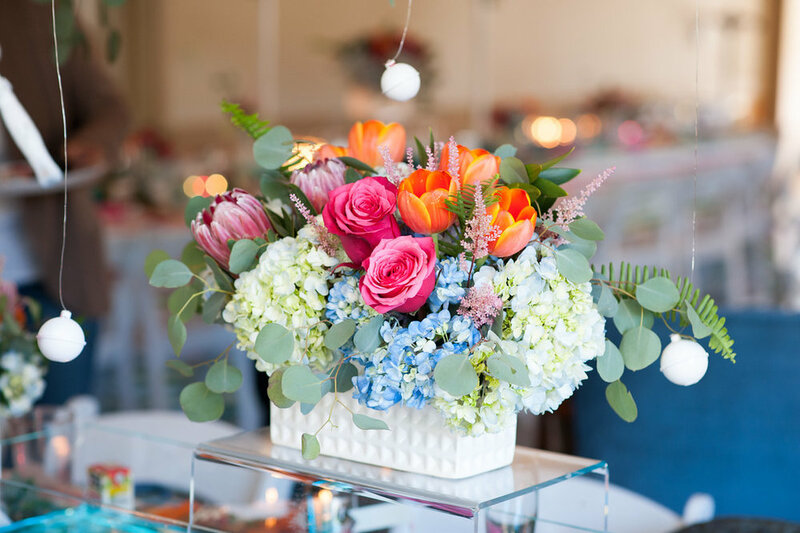 Florals were fun and eclectic, primarily made up of vibrant roses and tulips with additions of hydrangea, blush astilbe, protea, silver dollar eucalyptus, and more. They sat nestled into modern white porcelain vases. We have a pretty good idea that Beau enjoyed her birthday nearly as much as we enjoyed designing and fabricating it! Party A Little More With Us and View More Social Events!